Meyer, Suozzi, English & Klein, P.C. 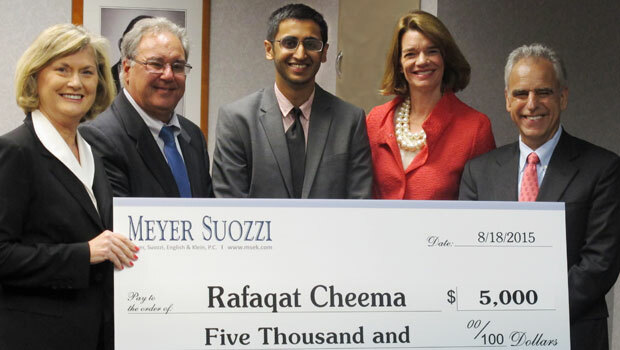 on August 19 announced that Rafaqat Cheema 3L has been selected as the 2015 recipient of the Judge Bernard S. Meyer Scholarship. The $5,000 scholarship is awarded annually to a second-year law student in New York state who excels in legal writing and advocacy. To be considered for the scholarship, applicants must submit an essay that demonstrates legal writing skills and advocacy. Cheema’s winning paper, “Blue Blood: Protecting Police Officer Families from Domestic Violence,” addresses the under-researched and often under-reported issue known as officer-involved domestic violence (OIDV), discussing the need for state assistance and formal guidelines in assisting police agencies as well as police officers in dealing with and curtailing OIDV. Previous winners of the scholarship have gone on to hold positions at law firms such as Cravath, Swaine & Moore LLP and Cadwalader, Wickersham & Taft LLP and as in-house counsel at organizations including Cancer Genetics, Inc. and NY Arc. Established in 2004, the scholarship is funded by Meyer Suozzi and administered by The New York Bar Foundation. Judge Meyer was an associate judge of the New York Court of Appeals from 1979-1986 and practiced with Meyer Suozzi from 1987 through 2005. Founded in 1960, Meyer, Suozzi, English & Klein, P.C. 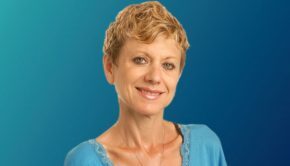 is a distinguished provider of legal services in 18 practice areas, with offices in Albany, Garden City, Manhattan and Washington, D.C. For more information about the firm, visit http://www.msek.com.